(Ctre) Mark Dowse of MD Business Interiors with L) Sally Basker of Exeter Science Park and R) Jim Moore of 8 Technology. 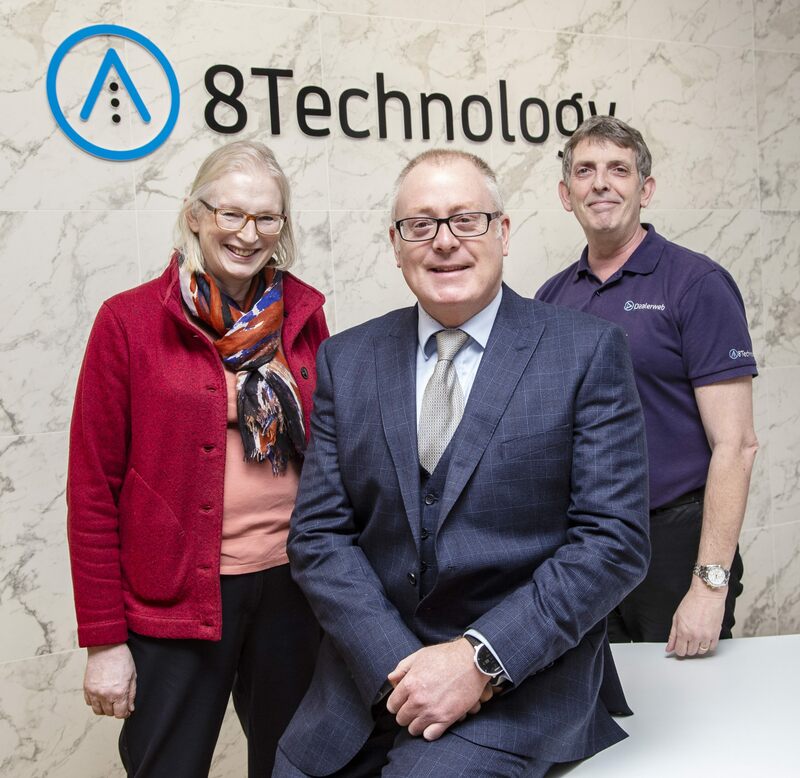 Eight Technology Ltd is the first tenant to move in to the Grow-on Buildings at Exeter Science Park. 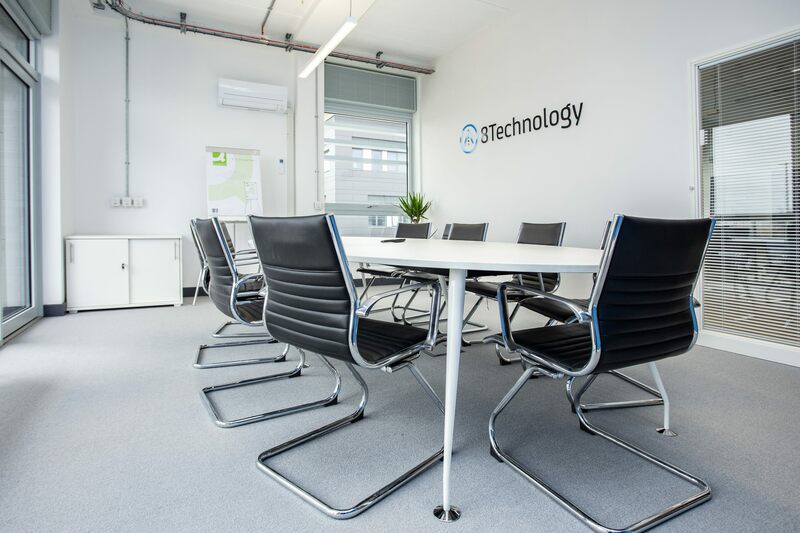 Founded in 2003 Eight Technology’s ‘Dealerweb’ software helps automotive dealer groups, manufacturers and independent retailers to boost sales performance through better lead management and smarter customer communication and has relocated to a new state-of-the-art office. Exeter Science Park’s Grow-on Buildings are partly funded by £4.5m from the HotSW LEP Growth Deal Funding. The HotSW LEP has also provided £2.5m local Government funding towards the Environmental Futures Campus and £5.5m towards the Open Innovation Building, which will bring forward 20,000 sq ft of space for growing small and medium sized enterprises. The internal fit-out of the office suites from concept to completion was undertaken by local independent contractor, MD Business Interiors. Exeter-based MD Business Interiors carried out a full internal fit-out from initial conceptual and detailed design including M&E; partitions, flooring and office furniture installation. In addition, there was also a full CAT6 data and power installation of the new premises. The open plan office areas include a bespoke kitchen, numerous meeting rooms and marble tiled reception backdrop with a handmade desk with feature LED lights. New flooring to all areas, shower facilities and dedicated server room with air-con. Choosing the right office fit-out company in Devon….. Some sound advice on office acoustics! Mobile office furniture showroom to visit Devon South West Business Expo! London to Paris cycle complete! We supply office furniture and office refurbishment & renovation across the South West of England. Our aim is to always give great service and value for money based on our extensive knowledge of office furniture & refurbishment projects.